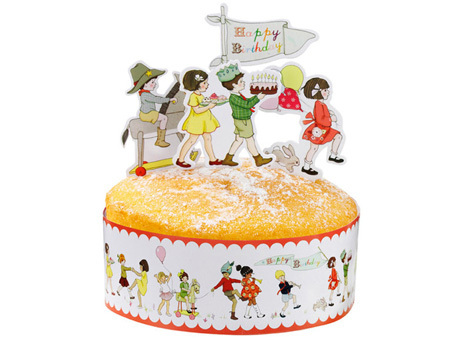 1 adjustable cake frill and 16 card cake toppers in 4 designs. 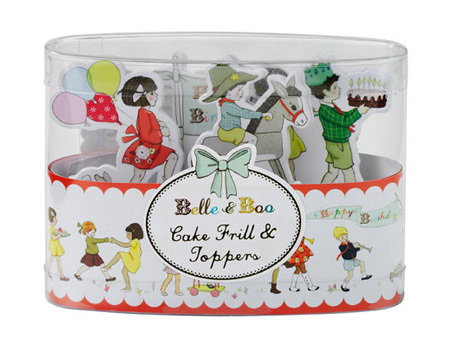 Decorate your cake with a pretty Belle & Boo cake frill. For the finishing touch pop on top the cute, card Belle & Boo characters. You can also purchase cup cake wraps which also look great with the toppers from this set, mix and match to your hearts content.